The trees haven’t even bloomed yet, and my spring calendar is full: a trip to visit friends who just bought their first house in Madison, Wisconsin, two weddings here in New York, an open invitation to a friend’s backyard on the Jersey shore, and a Mother’s Day brunch in May. These are all good things, but as the invites pile up, so does the daunting task of finding just the right gift for house warmings, weddings, hostesses, and dear mom! 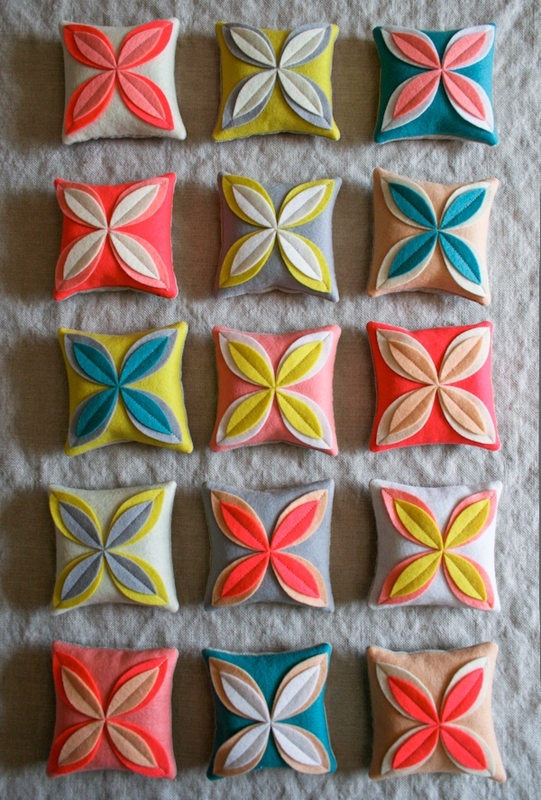 I, of course, turned to the Purl Bee archives for some gift giving inspiration. 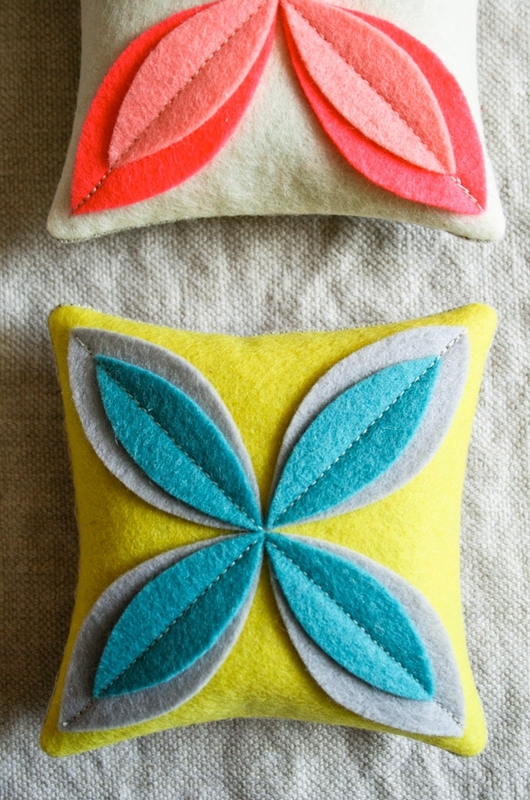 I’ve always loved the Felt Flower Pillows that Molly made a few years ago but am wary of making something so big for someone else’s home. 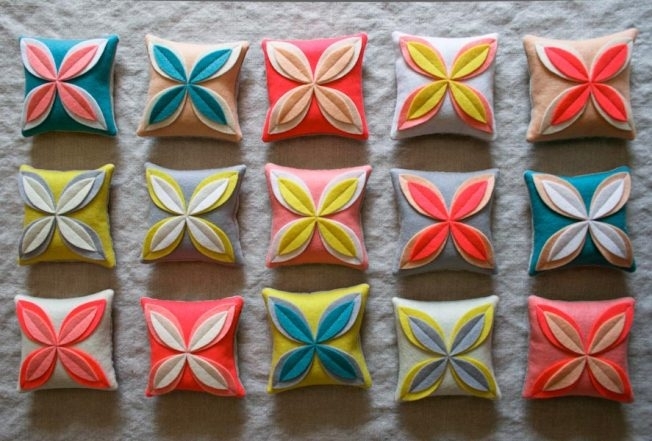 That’s when it hit me, why not shrink the scale and turn big pillows into pretty little sachets, easy to make and to give! 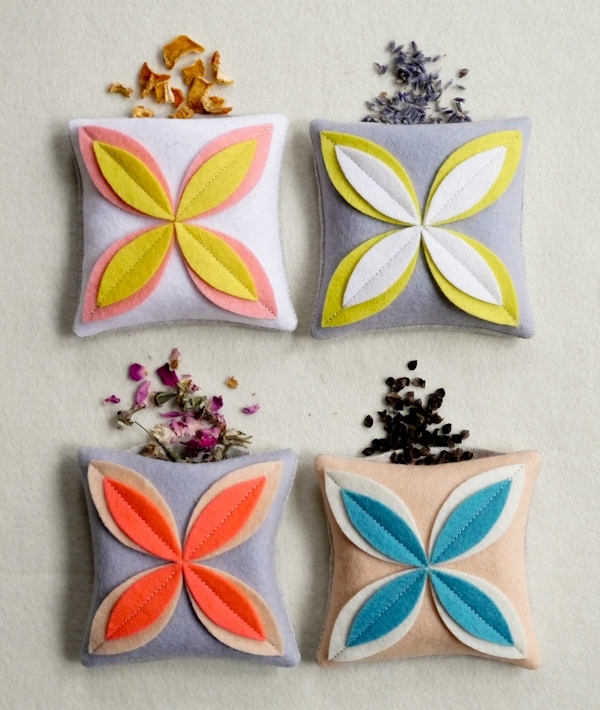 Luckily, not only do these sachets appeal to my more practical nature, they are also a blast to make. 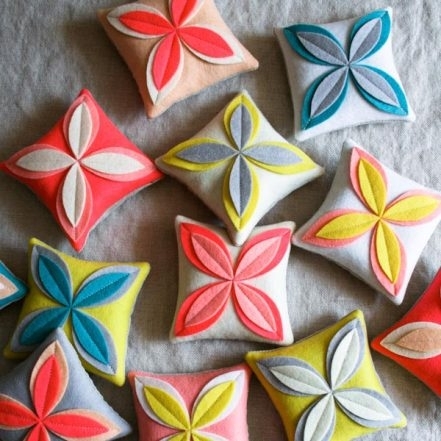 The beautiful, vibrant colors of the new Mariposa Felt Bundle made picking color combinations so fun, and I am completely willing to admit that I spent far too long arranging and rearranging the petals before I came up with my final choices. But, with colors like these, how could you not?! And since each Felt Bundle makes 16 sachets, there are enough here to say good luck, congratulations, thank you, and even happy Mother’s Day! ¼ yard of Robert Kaufman’s Essex Yarn Dyed, 45% cotton and 55% linen. This color is Flax. Gutermann’s 100% Cotton Thread in color 3170. 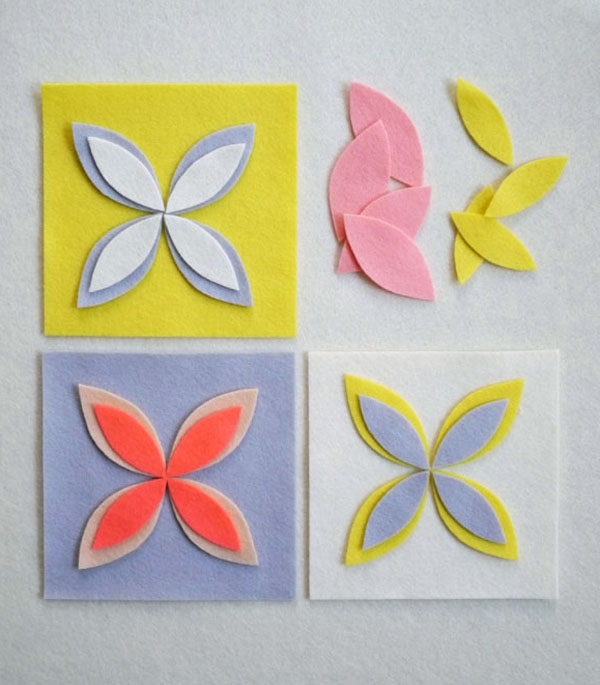 Petal Templates, printed and cut out, They are available for free download here. A selection of dried herbs, flowers and spices for filling. I used mixtures of orange peel, lavender, rose petals and buckwheat hulls that I got from this great site. 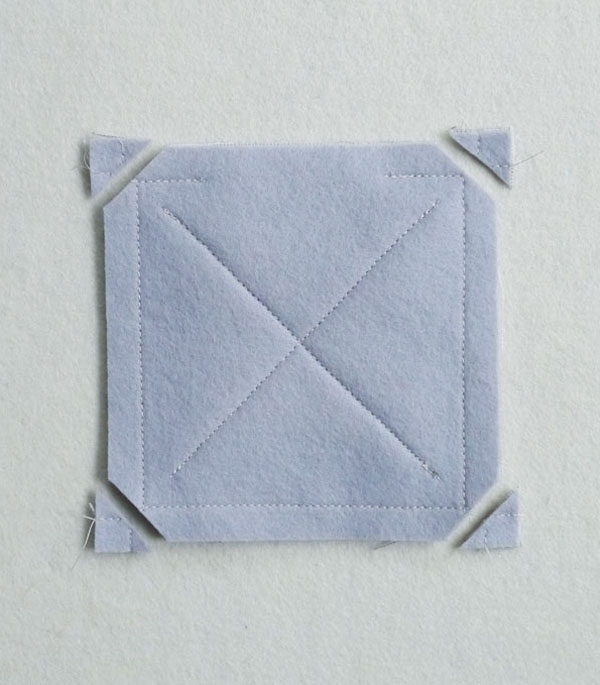 Cut the Essex into sixteen 4 ½-inch squares and set aside. 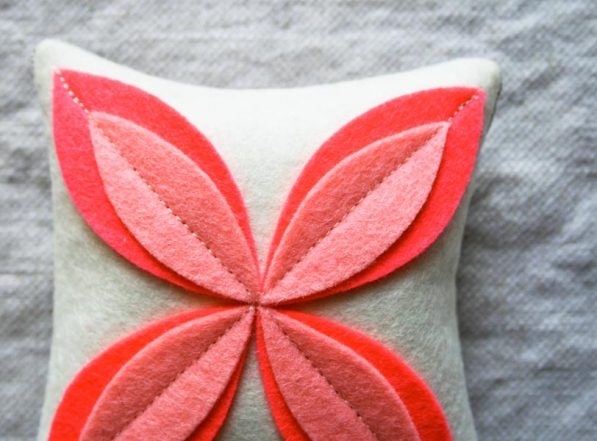 From each piece of felt, trace and cut out two 4 ½-inch squares and 8 of each of the large and small petal shapes (using the Petal Template). 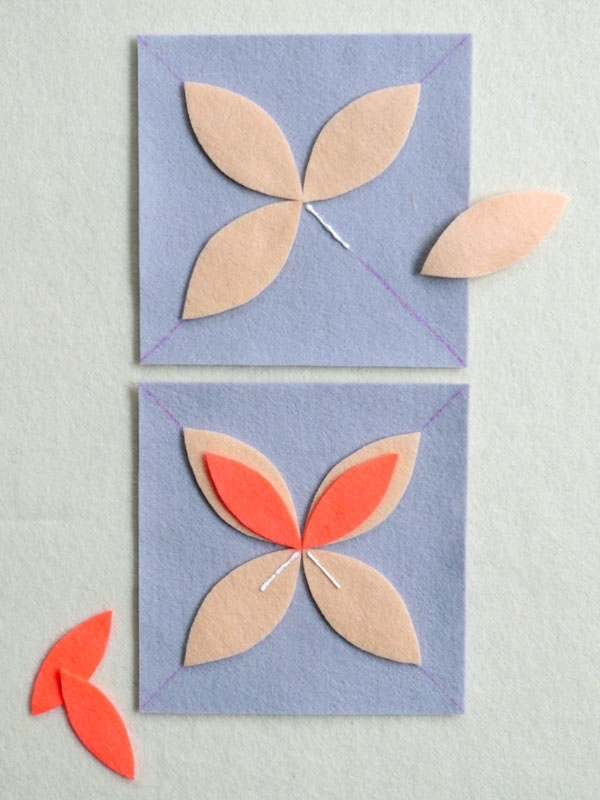 Now lay out your squares and pair up colors for the petals. 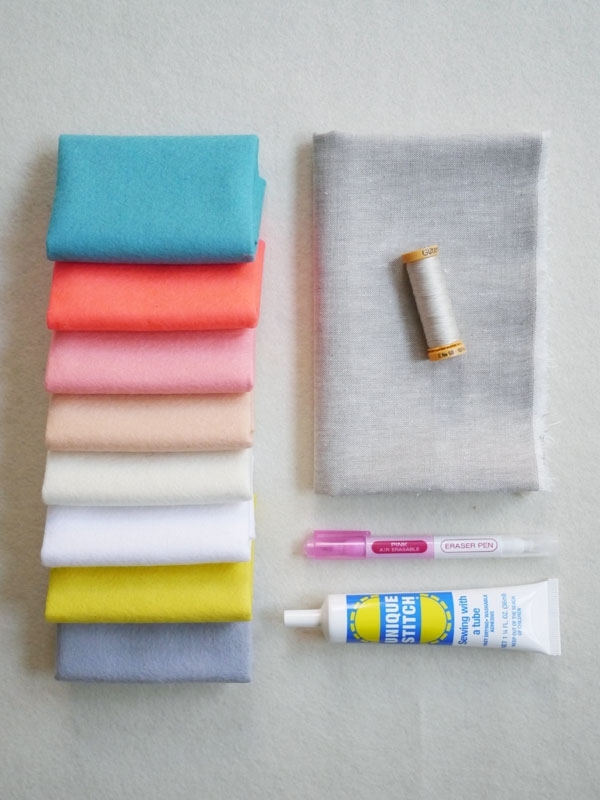 This is important to do before you start sewing because you don’t want to end up with a few mismatched pieces at the end. It’s also a lot of fun! 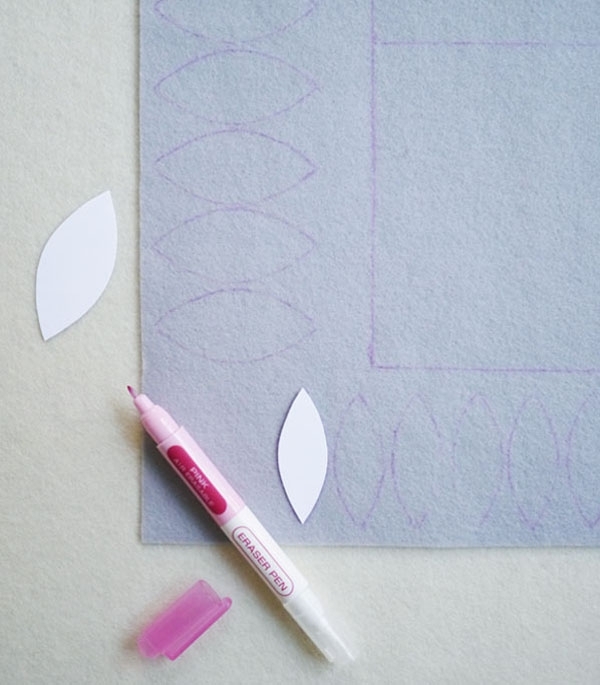 Using a straight edge and the Chaco Pen, make a straight line diagonally across the felt square, from corner to corner. Repeat on opposite corners to create an “X”. 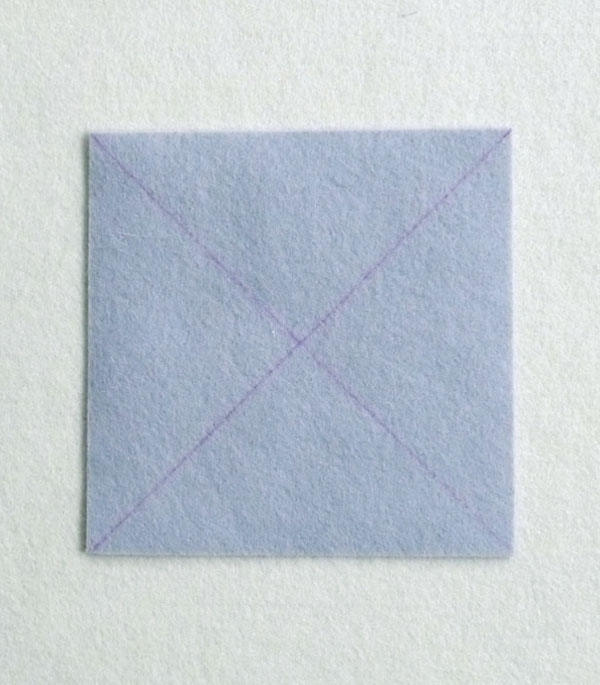 From the center of the “X”, apply a small amount of glue along the marked line about one inch in each direction. 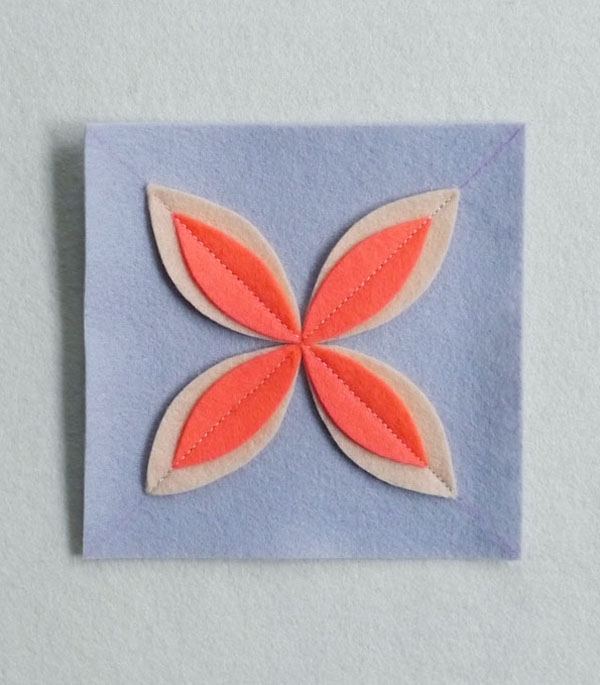 Place four large petals on top of the glue, making sure all the petal tips meet in the center and that the outer petal tips align with the marked “X”. 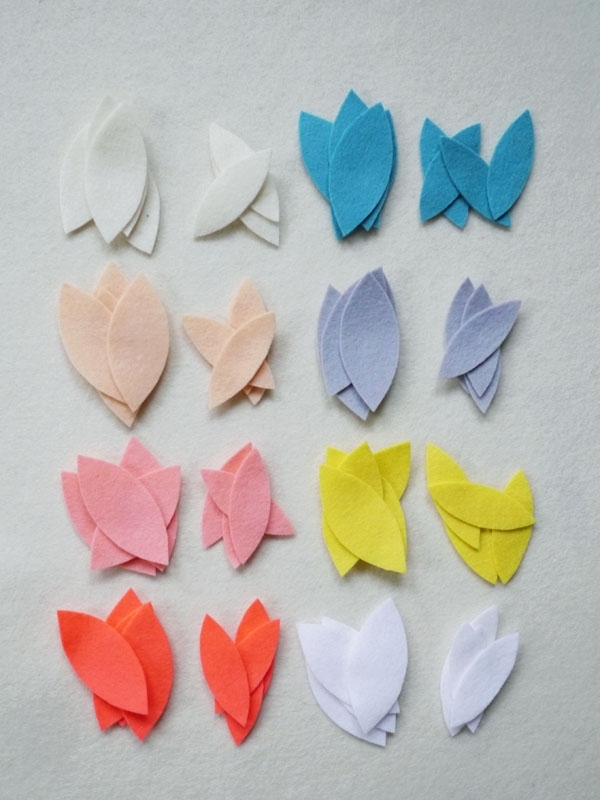 Repeat this step, now gluing the small petal shapes on top of the large petals. 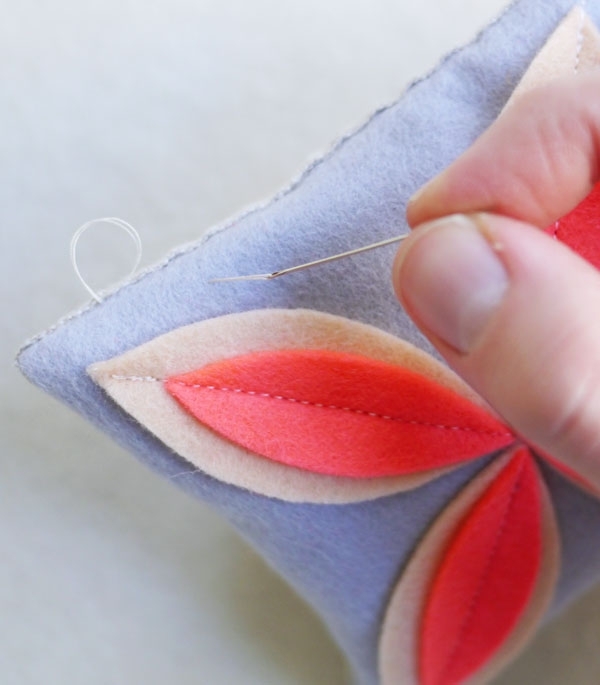 The glue is a great way to keep the petals straight and in place for sewing. 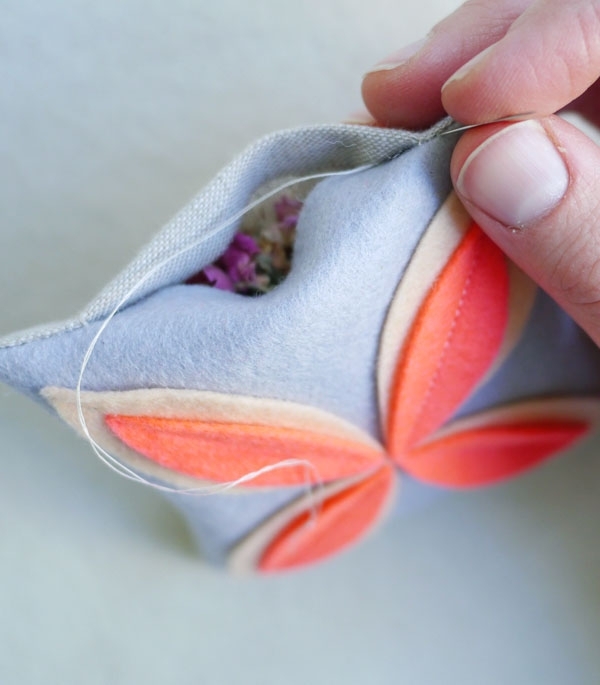 Sew through the petals diagonally, from tip to tip. Backstitch at the beginning and end of each seam. Pin the sachet top to one square of the Essex, right sides together. 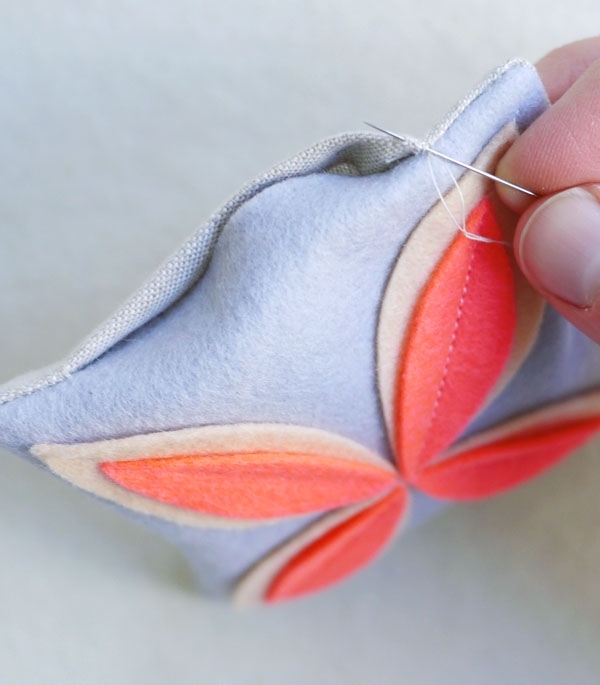 Sew them together around all four sides with a 3/8–inch seam allowance, leaving a 2 1/2-inch opening in the center of one side. Backstitch at the beginning and end of your seams. Turn the sachet right side out through the small opening. Fill with your choice of scent. I used a combination of orange peel, lavender, rose petals and buckwheat hulls. 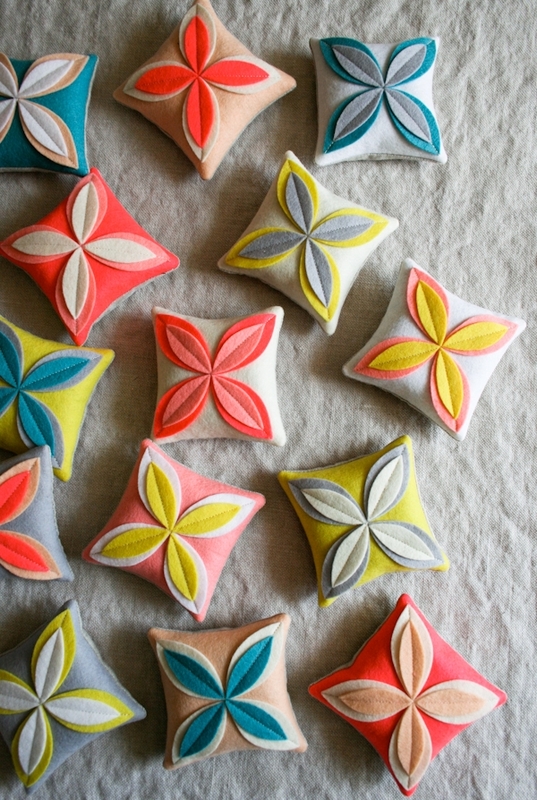 For nice, soft sachets, be careeful not to overfill them. They should feel substantial but not too hard or plump. Hand sew the sachet closed with a ladder stitch. Here’s how: pull the needle from the wrong side to the right side of the hem’s fold so that the thread’s knot is inside the sachet. 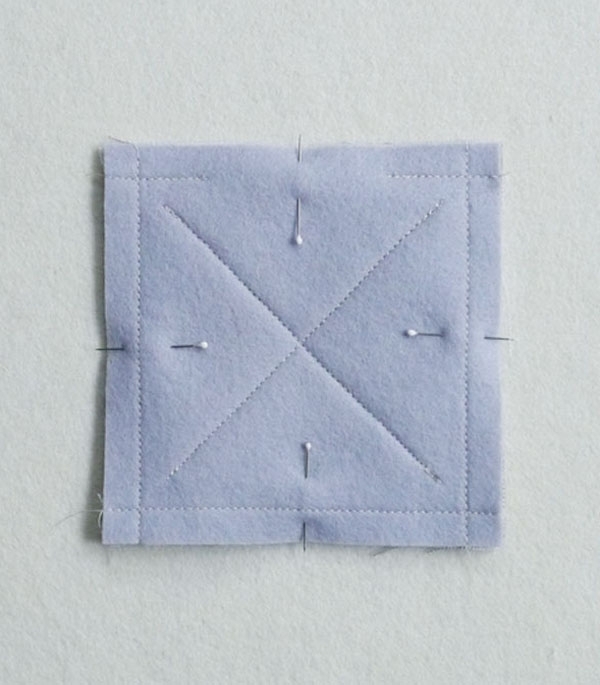 Insert the needle directly across from the first exit point, push the needle through the opposite fold, picking up about 1/8–inch of fabric. 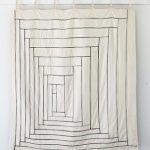 Go back and forth like this, sewing through the folds, until you reach the end of the opening. Tie a knot at the end. Pull the thread through the sachet and snip it at the exit point to hide the end. 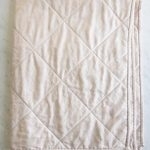 I am learning to sew and this will be my first project! 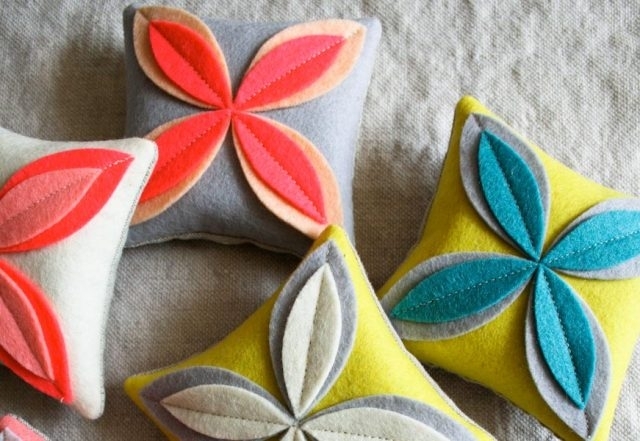 Does the wonderful aroma pass through the felt? I'm concerned you wouldn't be able to smell them. those are adorable! And what a great idea- make a slew of them for gifts for multiple people/purposes 😉 Right up my alley! 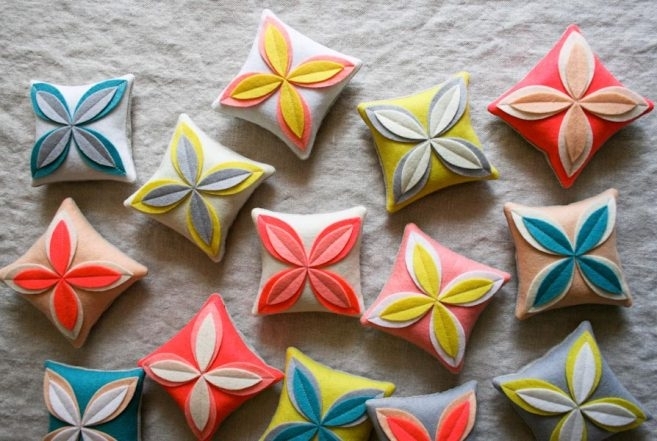 They'd make perfect little pincushions, too, which seem to be very hip these days on pinterest! Thanks for pulling them out of the archives! These little sachets look so cute. 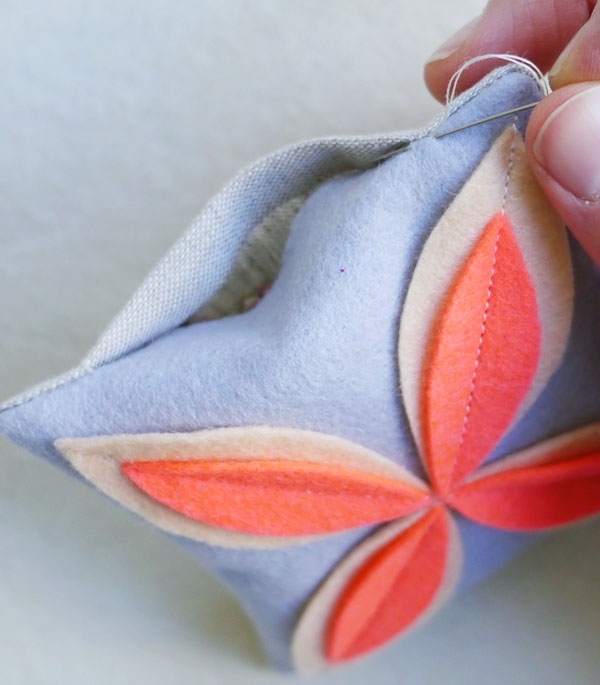 I made a similar with the leaves on a felt bag. thanks for sharing. These are darling. 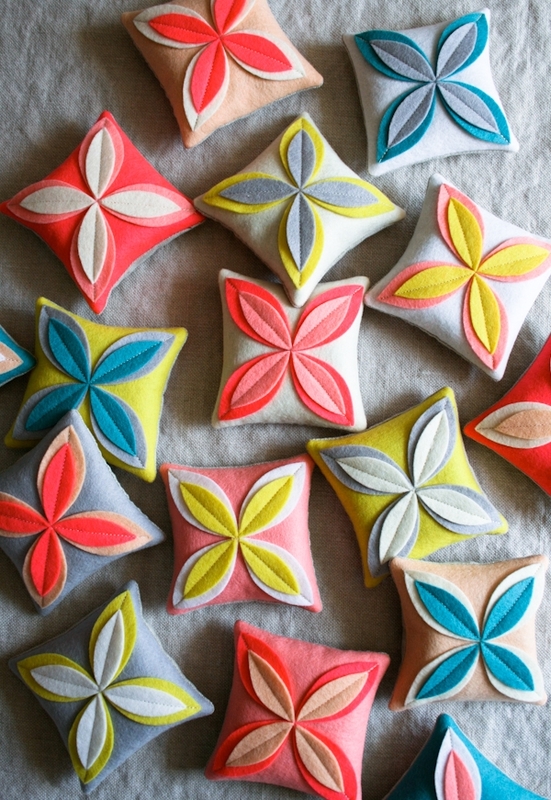 The color combinations are wonderful – and I'm very fond of working with Essex linen! I'll be trying them soon! Love these. the felt is so pretty. 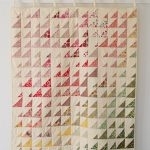 Your fabric crafts are really great, I feel so inspired just looking at them! Thanks for sharing! wonderful idea. Thank you so much. 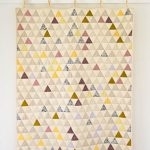 I will use my accuquilt go cutter and make it in a giffy. Wonderful idea. This is exactly the inspiration I needed for my cousins wedding shower next week! Thanks for sharing! Thank you u for posting such a great thing!!!!!!!!! 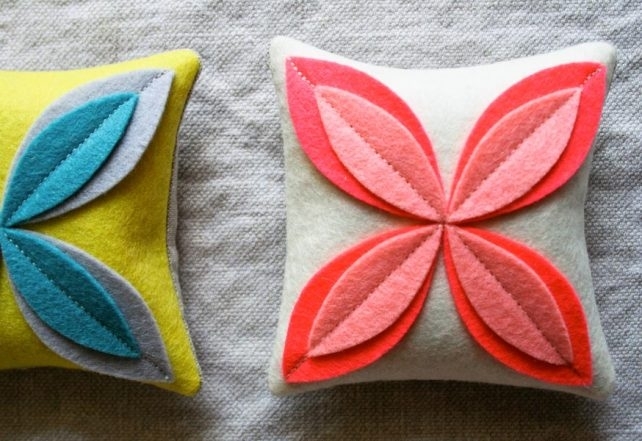 These are beautiful and so easy and fun to make. I just made 32 in the "spice" color way for my sister's baby shower. Thanks for a wonderful and pretty project. How much orange peel, lavender, rose petals and buckwheat hulls were needed to fill? This is a great question! 1/4 pound – 1/2 pound of each should be plenty to fill all 16 sachets, but you should keep in mind that the different scents have different weights – 1/4 pound of lavender is much larger in volume than 1/4 pound of orange peel so you will end up with more of one than the other. If there is any one scent that you are particularly fond of I would recommend getting in touch with the Monterey Bay Spice Company and getting their recommendations for ordering as well. Thanks for writing in – I hope this helps! They are beautifull ! thanks for the tutorial !